We are celebrating our 25th anniversary this year! Devi McCully’s raw talents and unique expression of creativity first came to the attention of the people of Libby, Montana when she opened Frames Unlimited on July 1, 1993. As Libby’s need for a custom picture framer grew, so did Devi’s reputation as a talented, innovative designer with an artistic flair. Like many small towns, mom-and-pop stores have always been part of the Libby landscape. 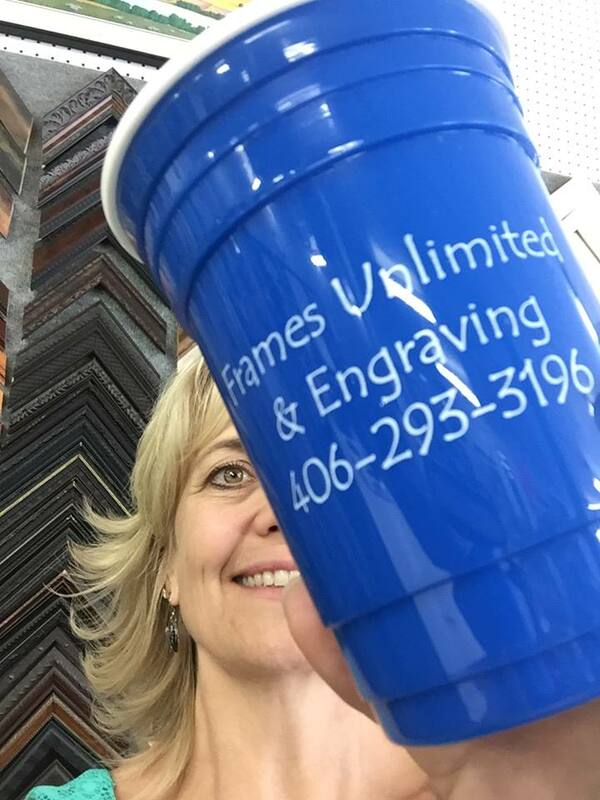 Amidst all the struggles and hardships, specialty shops, such as Frames Unlimited, continue to thrive and remain an integral part of Libby’s retail community. At the core of this principle, is the support of residents and business owners alike who value Libby’s self-sustaining network of retailers and want to ensure that personalized service is preserved as a part of every customer's shopping experience. ​While her custom framing services are the forefront of her business, she also offers a wide selection of art prints, greeting cards, unique gifts and treasures by local artisans, and of course, tons of free advice! Whether it is artwork, photographs, vintage collectables, family heirlooms, needlework or sports memorabilia, Devi can solve your design problems quickly and elegantly and bring your treasures to life!